FarmBoy and CityGirl hit Asia: Fatboy slim Live in Seoul!! Fatboy slim Live in Seoul!! 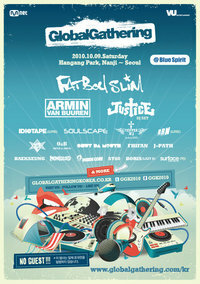 Just in case you haven't heard yet, Fat Boy Slim are live this weekend (9th October) in Seoul! Tickets are W88 000 if you book before Saturday, and W99 000 at the door.